I’m headed down to Columbus, Ohio tomorrow for Jeni’s Ice Cream (and a little trade show called TNNA). 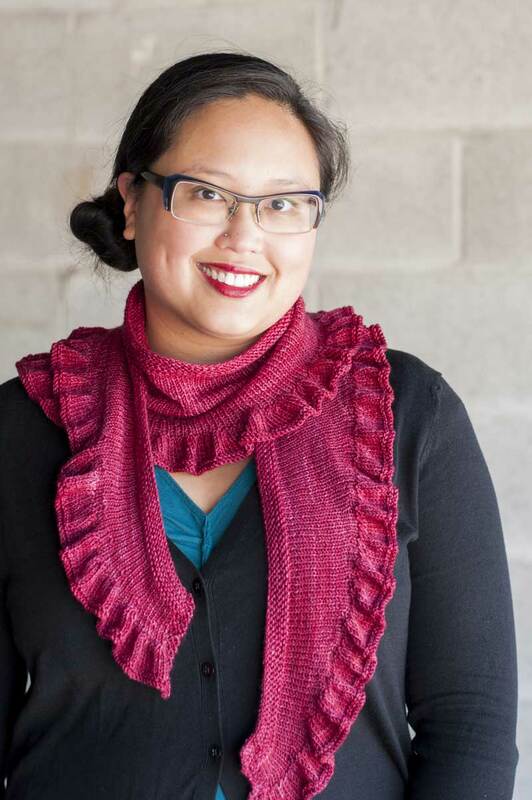 I’m super excited, because this show is a chance to see all those people I only see once or twice a year, eat yummy food, and check out the new yarns and patterns! I might blog on the road but then again I might be having too much fun – you can follow along with the TNNA exploits from our friendly neighbourhood Ravelry peeps by checking out their twitter @hellotnna! I knit up a pair of Cairn mitts for ysolda’s booth, since we both bought the same yarn a few years ago in London and she’d lost hers. Otherwise there’s no really new knits for this show – unfortunately my elbows have been bugging me and I’m on a bit of a knitting break! Darn! I’ve found them to be really helpful. Have fun in Ohio, and I hope you get back to knitting soon! Those are very cute mitts. I love how striking they are! I am jealous of those attending TNNA and eating ice cream. It is definitely one of the four food groups! 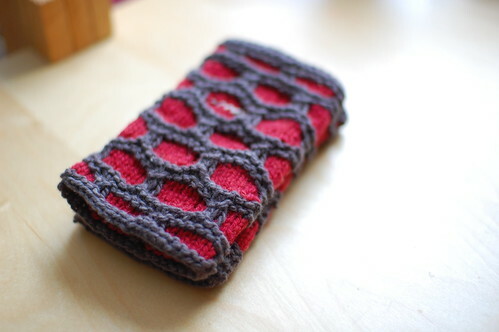 I have been struggling with elbow pain for a few months now because of my knitting. This past week I got The Trigger Point Therapy Workbook by Clair Davies, and it has helped my pain tremendously, more than physiotherapy and massage therapy. I highly recommend it! I hope I get to meet you. I’ll be working at the Anzula booth all weekend, earning some yarn for the Castlegar Cardigan. Hi, I thought I was the only person in the world who had elbow discomfort from knitting a lot. I’ve never gone to the doctor about it because I figured he’d think I was crazy. I hope you’ll feel better soon and I’ll certainly check out those sites for help too. Thanks! Can’t wait to hear all about your trip to TNNA. I didn’t make the one on the west coast this year – maybe next time. Have fun at TNNA and hope those elbows get themselves straightened out soon! Wish I could have gotten there. It was only a couple of hours away from me.